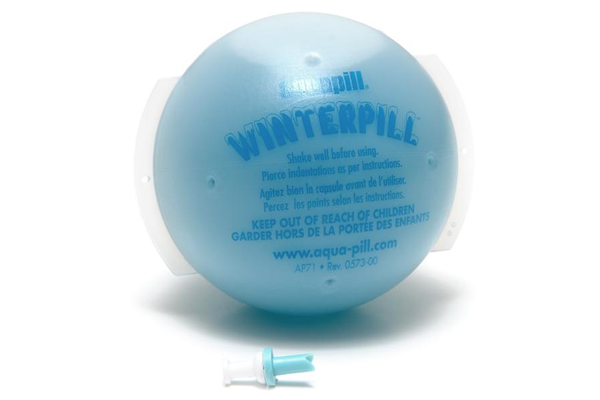 AquaPill Pool WinterPill Is An All-in-One Formula! 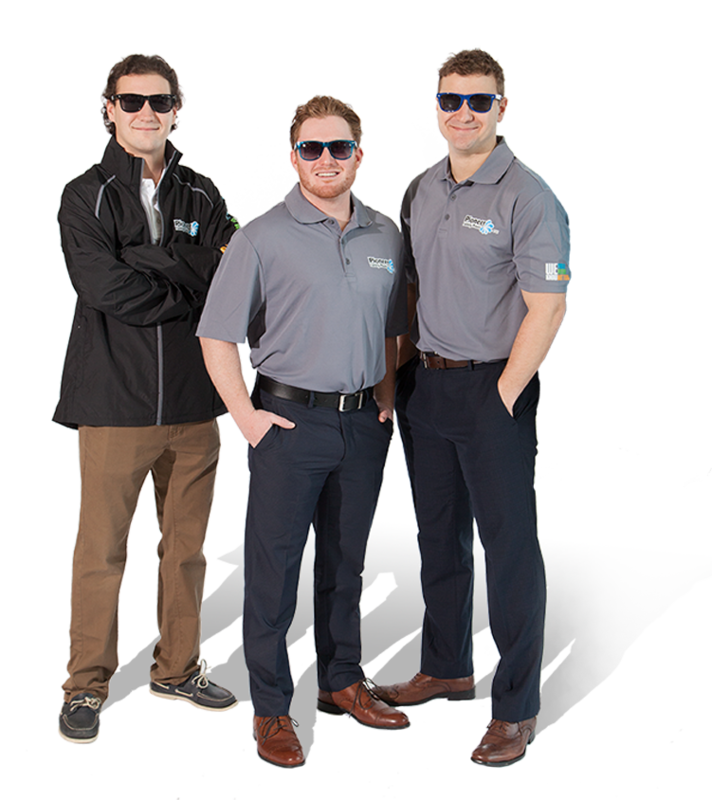 The AquaPill Pool WinterPill™ has a four part blend that is an all-in-one formula to help your spring openings become faster and easier. The pill contains a clarifier agent to maintain clear water, a stain and scale preventative to inhibit scale build up or staining. The AquaPill Pool WinterPill is enzyme-activated which means it naturally destroys organics. Simply shake well before using. Remove the blue piercing tool from the package. Carefully place the pointed end of the blue piercing tool into the recessed area of the WinterPill cap. Holding the pill, firmly press the piercing tool against a hard surface until the tool punches through the plastic cap. Remove the piercing tool. Hold the capsule over the open skimmer. Using the supplied white pushpin, pierce one indent only. Place the pill in the pool and it will float and dispense the chemical over the winter season. Remove the pill in the spring and replace with the spring pill to improve water clarity.